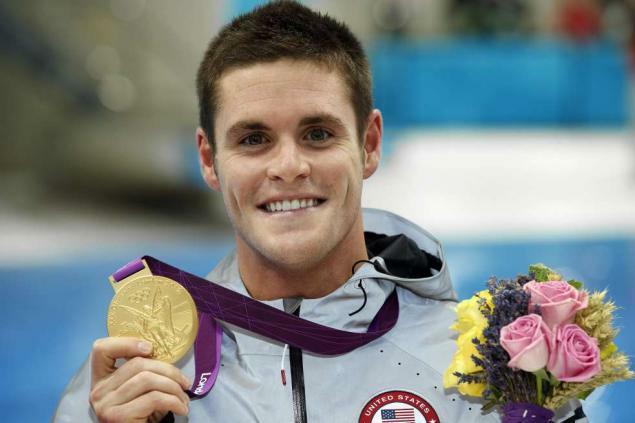 Below is the testimony of Olympic 10 meter diving champion David Boudia. While I was growing up, I was expected to go to church, but it was more of a chore. Sports was a big part of my life, so I used God when I needed Him to shine for me, like an accessory in my life. Through the 2008 Olympics, it was all about me, my glory and money. But all of it was vanity. I left the Olympic Games, which is an incredible experience, feeling unsatisfied. That glory was very temporary. Once I got into college, I got into the party scene and seeking approval from my friends. I was on a path of total destruction. At the start of my sophomore year, I found myself flat on my face, wondering what I was doing and what life was about. My teammates suggested I call my coach, and we ended up talking at his house on a Sunday night. He asked me about my “God story” and then he and his wife shared the gospel of salvation through Jesus Christ with me. I saw then how sinful I was and how much I needed God to redeem me. I devoted my life right there to Christ and asked for forgiveness. The Holy Spirit began to move in my heart then and gave me a desire for what He wanted. Since then, I continue to see my need for Christ in my life. I go through so many trials, and I’m thankful that God continues to be faithful and show His grace through them. I can’t picture my life without God right now. I have full contentment and faith that God is totally sovereign and no matter how I write my own plan, He’s going to do what’s best for me to make me more like Christ. No matter how I do in my sport, I know it’s perfect because of the promises and hope He has given me.